Top row (left to right): 1. Mr Sweet, 2. Mr. Tibbets, 3. Miss Nelson, 4. James Alexander, 5. Cathy Dalrympl, 6. Randy Hoover, 7. Karen Hendricks, 8. unidentified. Second row: 1. Robert Kerlin, 2. unidentified, 3. no picture, 4. no picture, 5. no picture, 6. no picture, 7. unidentified, 8. unidentified. Third row: 1. no picture, 2. unidentified, 3. 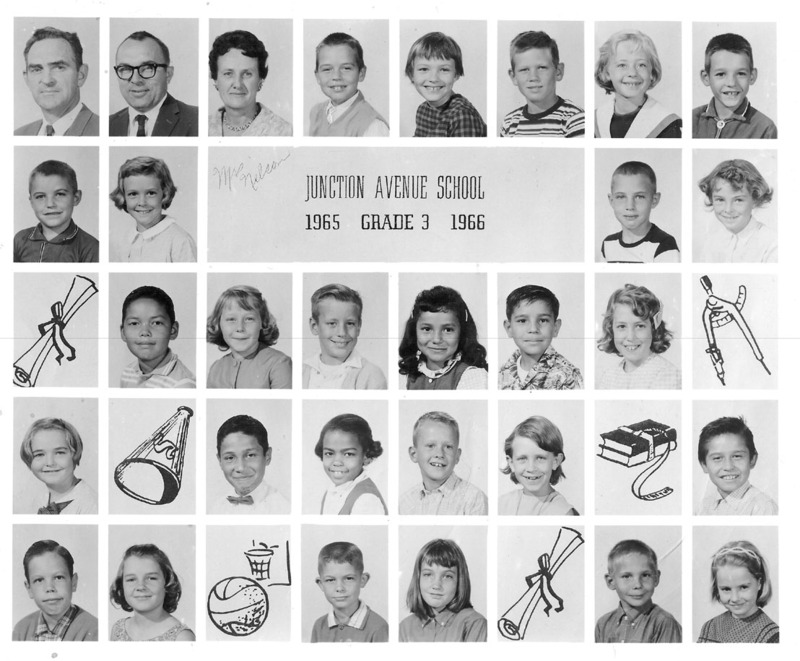 Sharon Wilson, 4. unidentified, 5. unidentified, 6. John Coronado, 7. Cindy Robbins, 8. no picture. Fourth row: 1. Diane Thompson, 2. no picture, 3. unidentified, 4. unidentified, 5. unidentified, 6. Helen Nickolls, 7. no picture, 8. unidentified. Fifth row: 1. unidentified, 2. Donna Shepherd, 3. no picture, 4. Dale Mooney, 5. Julie ?, 6. no picture, 7. unidentified, 8. Nancy ?. Credits: From the collection of Diane (Thompson) Mueller.